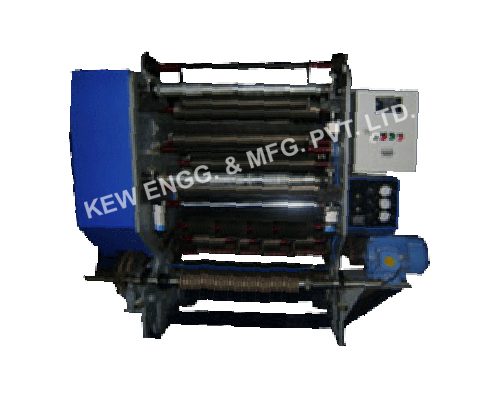 KEW is a Leading Supplier & Manufacturer of Foil Slitting Rewinding Machines, our product range also comprises of Roll Slitting Rewinding Machines, Film Slitter Rewinder Machines, Drum Type Slitting Rewinding Machines & Paper Slitter Rewinder Machines. 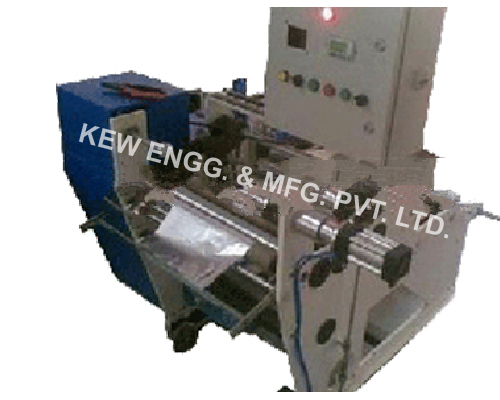 KEW manufacturers, exports & supplies highest number of Tape Slitter Rewinder Machine since last 25 years from Ahmedabad, Gujarat, India. With more than 1400 installations all over India and overseas like Saudi Arabia, UAE, Dubai, Sharjah, South Africa, Nigeria, Ghana, Congo, Kenya, Zambia, Sri Lanka, Bangladesh, Malaysia, Pakistan, Nepal, Russia, Thailand, Indonesia, Brazil, Colombia, Venezuela, Argentina, Mexico, Canada, etc. We manufacture and offer a wide range of Aluminum Foil Slitting Rewinding Machine that are precisely designed and constructed to meet the standards that effectively meet the requirements of foil cutting. We offer Aluminum Foil Slitting Machines from 9 micron to 40 microns. We manufacture and offer a wide range of Aluminum House Foil Slitter Rewinder Machine that are precisely designed and constructed to meet the standards that effectively meet the requirements of foil cutting. We offer Aluminum House Foil Slitter Machine from 9 micron to 40 microns.